It’s a Bird, It’s a Plane, What is it? 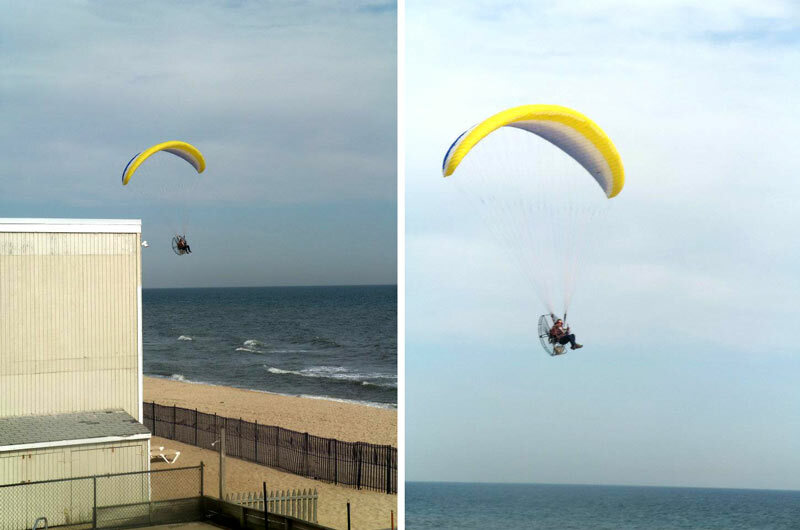 While in Montauk over the weekend I saw this interesting, fan propelled, “vehicle” making it’s way down the beach. I was able to catch a few shots after shoving my friend out of the way and grabbing my camera. The “pilot” saw our photography attempt and stayed in one spot for a while while we caught some shots. Definitely one of the cooler things I’ve seen. 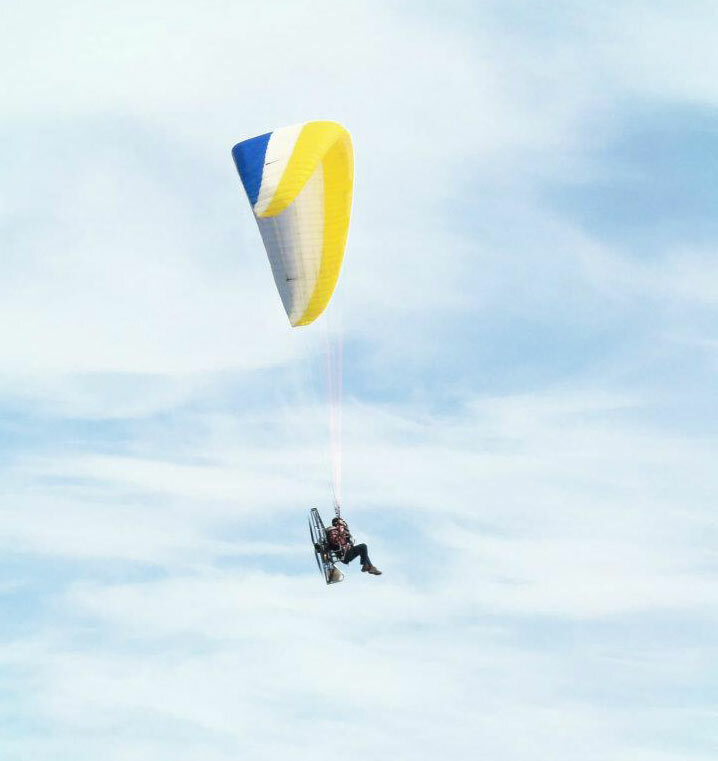 Does anyone know what this type of glider is called? This entry was posted on April 16, 2012 by Amanda. It was filed under Color, Montauk, Photography, Present . Saw this guy out on his device last April. It was definitely a sight to see. I showed a bunch of people and their response was “Oh, that’s nothing new.” I beg to differ! When I see this coming towards my hotel room, it is definitely a sight to see! I’m glad I’m not the only one. Haha!